Once in a while a film comes along that blows your head off. Witness Desert Cathedral. Ostensibly, the film concerns a dubiously successful realtor who, in searching for something better for his family, runs straight into the kind of midlife crisis that’s unimaginably painful. And it is less of his financial failure and more of his tragic imagination and sense of responsibility that sends him spinning off to the climax. Imagine Dostoyevsky’s Notes for the Underground updated to the ’90s. Peter Collins is backed to a wall from which he sees no escape. He has a loving wife, Anna and a beautiful daughter, but has seemingly made a series of perfectly legal, but possibly financially ruinous, actions. Such is basically the action of the film, illustrated by Peter and Anna, and Duran Palouse, the private investigator she hires to find her husband who mysteriously disappears into the Southwest. As the film progresses, the audience learn more and more about each character and our sympathy grows for them. The incredibly exciting aspect of this film is the narrative structure. Cheating only slightly here and there, the story is told through the found footage of the hero’s VHS camera, sort of a visual suicide note. However, this footage is interspersed with home movies Peter and his family have taken throughout the years, so the audience is able to see the sort of life, the failure of an American Dream. that the hero is leaving for the romanticism of the West. The impact is pretty extraordinary. Understanding and sympathy develops for Peter and Anna, while the remaining information is obtained by the observation of Duran, a bit sleazy at first, yet who grows in the audience’s appreciation as the film progresses. This is the first major release of Travis Gutiérrez Senger, an author, director and artist to watch. Handling original narrative in a film has got to be difficult, but Senger’s direction has a style and such a unique manner of handling the now near clichéd “found footage” technique is quite wonderful. 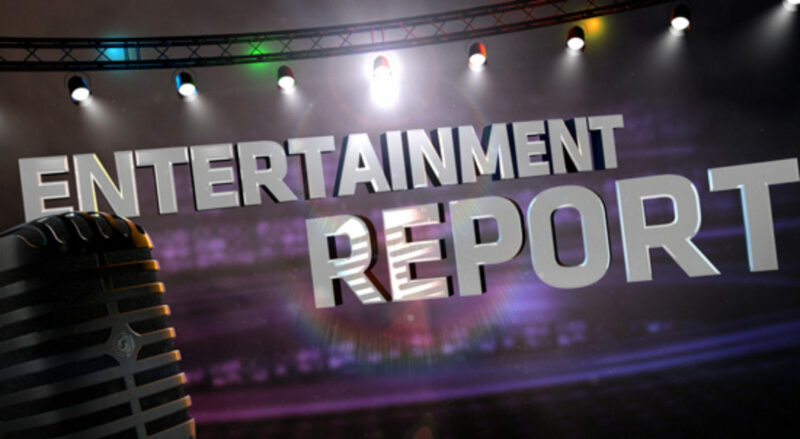 The three major performers, Lee Tergesen, Chaske Spencer and Petra Wright are all spot on in their performances, and you can feel the power of the film from beginning to end. 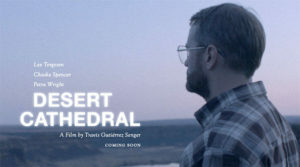 Based on true events, Desert Cathedral won the Golden Bee, the festival’s top prize, at the Manchester International Film Festival; the festival awarded the film for its bold and unique storytelling. No surprise. Isn’t it great to have a film to which you have to bring your brain?